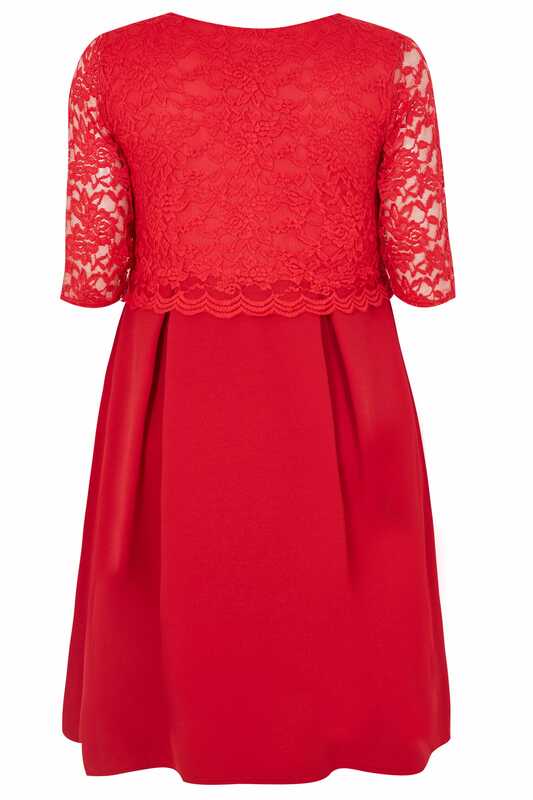 Make a lasting impression in this chic dress from Yours London. In a timeless midi style with an elegant lace overlay, it flatters with a pleated skirt and exudes feminine charm with a v-neckline. Partner with a simple clutch bag and a pair of high sandals for an effortless after-dark profile. 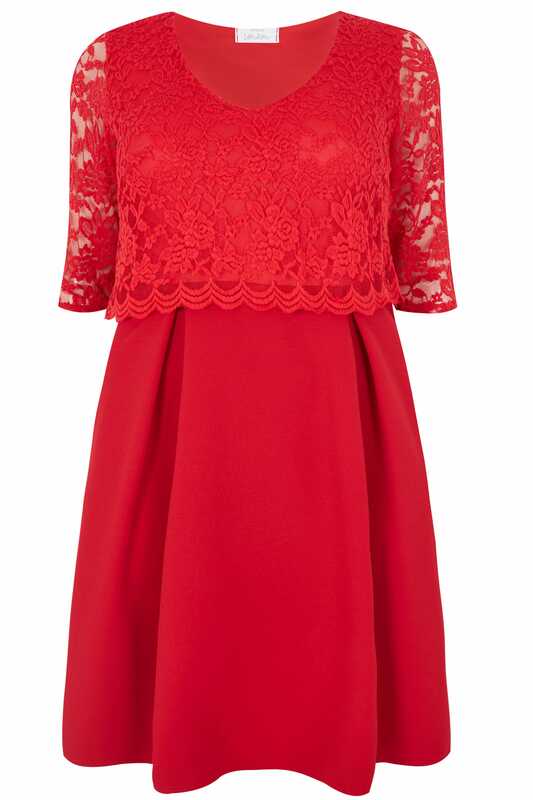 In a bold red hue, it is the perfect party dress.